AWP offers two annual scholarships of $500 each to emerging writers who wish to attend a writers’ conference, center, retreat, festival, or residency. The scholarships are applied to fees for winners who attend one of the member programs in AWP’s Directory of Conferences & Centers. Winners and four finalists also receive a one-year individual membership in AWP. Submissions must be postmarked between December 1 and March 30 of each year. Download full guidelines here. Michelle Seaton’s essays and short stories have appeared in Harvard Review, The Pinch, Sycamore Review, Lake Effect, Quiddity International Journal, and in the 2009 edition of Best American Nonrequired Reading. Her magazine journalism has appeared in many magazines, including Worth, Robb Report, and Bostonia. She is the co-author of The Way of Boys (WilliamMorrow, 2009) and The Cardiac Recovery Handbook (Hatherleigh Press, 2004). For more than 12 years, she has been an instructor at Grub Street, Boston’s largest nonprofit writing center. She is also the lead instructor for Grub Street’s Memoir Project, a program that offers free memoir classes to senior citizens in Boston neighborhoods. The project has visited twelve Boston neighborhoods and produced three anthologies. What about the drive or flight home after your first residency? It was like being expelled from Eden, complete with tears and moaning and dread. I don’t mean to minimize this reaction; the post-residency blues were real enough, and there was good reason for that dread. Consider what came a couple of months into the semester: a long separation that reduced residency to a dream-like memory. In case you’re not sufficiently depressed by now, let me mention one more thing. Those mid-semester doldrums are at least tempered by the hope of another trip to Wilkes-Barre, as well as the continued—though limited—contact with peers and mentors. What about when your M.A. and M.F.A. are complete? What then? Stop! Put down the Prozac. I want to offer you something more substantial than hope and medication. First of all, for those still finishing your degree, the program isn’t done. Residency wasn’t just a dream or a fluke. That whole experience won’t totally evaporate in the numbness of ordinary life. A part of why leaving may feel so traumatic is the uniqueness of what happened, that sense of being part of a new family of writers who get you, who hear you, who help you. If you were like me, you never had that kind of affirmation with that strong connection of mind and spirit anywhere else, and leaving it whispered the possibility of losing it. But shake that off. You were brought into this family based on writing samples. Your words held a recognizable power, a certain familial likeness in your voice. You are now one of us, connected not by mere genetics, but by the elemental kinship of the soul. And didn’t residency prove that you belonged? Didn’t your beauty and resonance flow naturally among the other powerful voices? That voice is still your voice, and you are still one of ours. Keep working. Come back in June, and it will happen again. Of course, while most of this is also true of alumni, when miles and years intervene, relationships atrophy. So the issue becomes the lack of structured, program-based opportunities to connect. However, as the Creative Program continues, as it adds more components and voices, opportunities to stay connected grow. For example, many faculty, students, and alumni participate or attend the annual AWP Conference, which moves to a different city each year, facilitating easy access to those in different regions of North America. And there are chances to work on new projects (consider Kaylie Jones’ new imprint with Akashic books) and opportunities to publish articles and reviews. In addition to all of this, alumni are welcome back at residencies. The night readings are open to them, and lodging for a reasonable rate is available. All it would take are some enterprising alums to organize daytime workshops, and, voilà—residencies and connectedness ad infinitum! in the face of this deserved compliment. because someone saw how beautiful you are. What proof do you have otherwise? A small asymmetry in the mirror? would mistake your mistakes for plainness. I know how beautiful you are. for June to see, hear, you again. 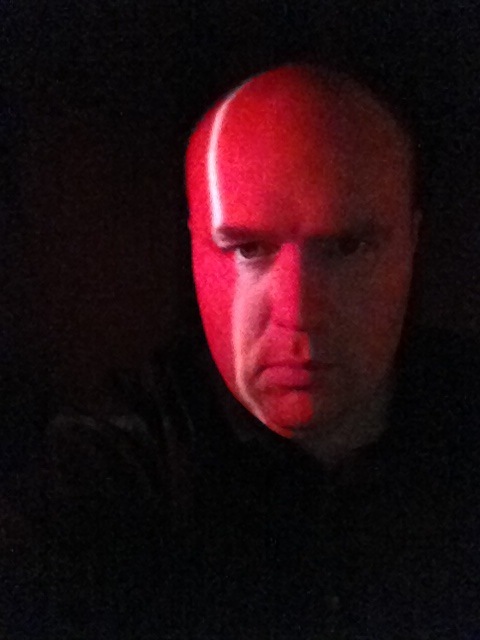 Anthony Dolan Scott has an MA from the Wilkes Creative Writing Program and is currently an MFA candidate. Anthony was honored at the January 2013 residency as the recipient of the Jennifer Diskin Memorial Scholarship. If you plan on attending the annual AWP Conference and Bookfair, taking place in Boston MA, March 6-9, 2013, you’ll find ample Wilkes representation. Jim Warner, alum and former assistant program director, will once again host the All-Collegiate Poetry Slam and Open Mic every night of the conference. For more information about AWP and the conference schedule, visit www.awpwriter.org. Don’t forget to stop by Wilkes/ Etruscan Press booth in the Bookfair!